The wait is over! After screenings from one festival to another, Love, Antosha is set for theatrical release in the U.S. this summer, thanks to Lurker Productions. VARIETY – Lurker Productions will self-distribute the movie, “Love, Antosha,” beginning with New York and Los Angeles in early August, with Michael Tuckman’s mTuckman Media booking theaters. The film will expand throughout the country into August and September. Yelchin died in June 2016 in a freak accident. The doc examines his lifelong passion for the arts, and is told through journals and other writings, photography, original music, as well as interviews with his family, friends, and colleagues. First-time filmmaker Garret Price takes the lead, with Yelchin’s “Like Crazy” director Drake Doremus producing alongside Adam Gibbs. Love, Antosha has been accepted in this year’s KC Film Festival and is set to kick off the festival. Screening will be on April 10th, 7:00 PM – 8:32 PM at the Cinemark Palace at the Plaza – 500 Nichols Rd. Kansas City, MO 64112. Director Garrett Price and co-producer Jordan Krause will be in attendance. You can get tickets by visiting this link. From a prolific career in film and television, Anton Yelchin left an indelible legacy as an actor. Through his journals and other writings, his photography, the original music he wrote, and interviews with his family, friends, and colleagues, this film looks not just at Anton’s impressive career, but at a broader portrait of the man. Born in the former Soviet Union to a family of artists, Anton and his parents came to the U.S. when he was six months old. He started acting at nine. He had a genuine curiosity and love for people, for art, and for family. And a willingness to explore, and be open with, the darker parts of himself. Love, Antosha explores his successes and his struggles, and let’s viewers get to know this extraordinary person the world was cheated from seeing grow old. HOLLYWOOD REPORTER – Two years after Star Trek actor Anton Yelchin’s death, the Anton Yelchin Foundation has donated $1 million to the University of Southern California’s adult cystic fibrosis center at Keck Hospital, which has been renamed the Anton Yelchin Cystic Fibrosis Clinic at Keck Hospital of USC. Before Yelchin died in a motor vehicle accident in 2016, the hospital administered treatment to him for 10 years as he battled cystic fibrosis. The clinic on Wednesday held a commemorative ceremony attended by Yelchin’s parents, the hospital’s cystic fibrosis unit and the Anton Yelchin Foundation’s board of directors to honor Yelchin and thank the foundation for its contribution. Irina, along with her husband Victor Yelchin, created the foundation in honor of their son after he died. Victor serves as the foundation’s CEO and board president. Earlier this year, Yelchin’s parents reached a settlement with Fiat Chrysler, the makers of the SUV that crushed and killed the actor in his driveway. 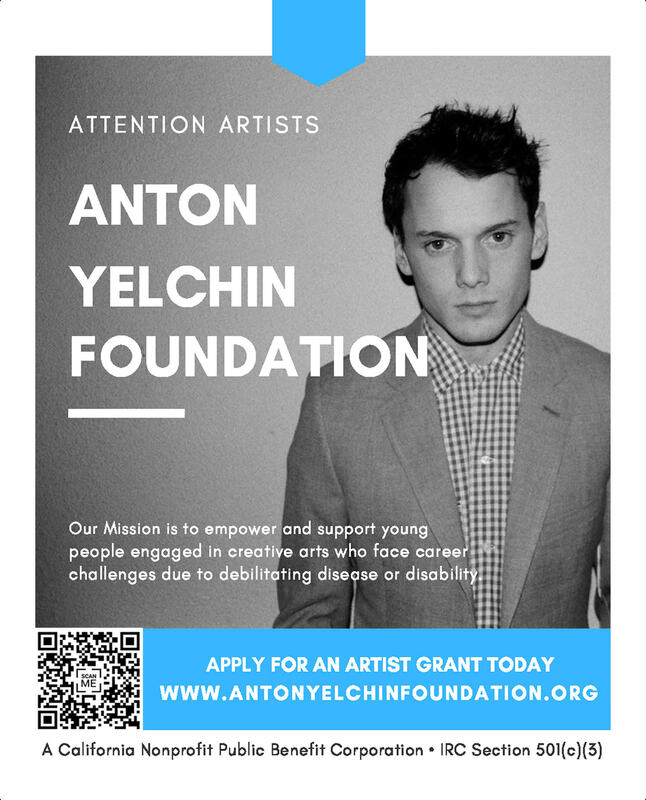 Helmed by A. Purush Rao, clinical associate professor of medicine of the Keck School of Medicine at USC, the Anton Yelchin Cystic Fibrosis Clinic aids cystic fibrosis patients transitioning from pediatric to adult treatment. Ahead of the Part 2 premiere on Friday, December 15th, Netflix has announced that Trollhunters is headed to new adventures with a third and final chapter! It is slated to premiere next year. “Trollhunters” Part 2, from Guillermo del Toro, premieres on Netflix, on Friday, Dec. 15, with a third and final chapter of the Emmy-winning series set to debut in 2018. “3 Below,” the second series in the previously announced Tales of Arcadia trilogy, will premiere in late 2018 and feature two royal teenage aliens and their bodyguard who flee a surprise takeover of their home planet by an evil dictator and crash land in Arcadia. Now on the run from intergalactic bounty hunters, they struggle to blend in and adapt to the bizarre world of high school all the while attempting to repair their ship so they can return and defend their home planet. A final chapter, “Wizards,” is set to debut in 2019. “Trollhunters” was created and executive produced by Guillermo del Toro with Marc Guggenheim, Rodrigo Blaas, Chad Hammes, and Christina Steinberg also serving as executive producers. Dan Hageman and Kevin Hageman serve as co-executive producers. The first season of Trollhunters is set to be released on DVD on November 7th. No Blu-ray version was announced, as of now. The 4-disc set will consist all 26 episodes of the first season, along with a behind-the-scenes featurette with the show’s creator, co-writer, and co-executive producer, Guillermo del Toro. You can pre-order your copy on Amazon. The show was one of Anton’s final projects. He was able to record majority of his lines before his untimely passing. Del Toro refused to recast the character and preserved his work. Other voice cast includes Kelsey Grammer, Ron Perlman, Steven Yeun, Lauren Tom, Clancy Brown, Tom Hiddleston, and James Purefoy. The show has already been renewed for a 13-episode second season, which is expected later this year. When ordinary teenager Jim Lake Jr. stumbles upon a mystical amulet on his way to school one morning, he inadvertently discovers an extraordinary secret civilization of mighty trolls beneath his small town of Arcadia. Suddenly destined to play a crucial role in an ancient battle of good and evil, Jim is determined to save the world…right after gym class. A must-see viewing event for the entire family, DreamWorks Trollhunters will bring viewers of all ages around the globe into the rich and creative world of this all-new Netflix original series.